As Cardiff prepares to host the biggest match in European rugby, who will make history as the last-ever winners of this great competition. The conclusion to this year’s Heineken Cup tournament should be a belter with the top sides in France and England respectively facing up against one another, but who will be crowned champions in Cardiff? European champions. If they are to overcome the final hurdle, their star players will need to continue their fine run of form with Owen Farrell marshalling things superbly from fly-half allowing space for the likes of Chris Ashton and David Strettle to scorch their way to the try-line. A strong pack led by veteran lock Steve Borthwick, can be a handful for any team on their day and with strong ball-carriers such as the Vunipola brothers running at you, the Toulon defence could be in for a tough afternoon. Their European season hasn’t always gone smoothly, over-powered twice in the pool stages by Toulouse and scraping through against 14-man Ulster in the quarter-finals, they seemed to find their form at the perfect time as they romped to victory in the semi-final and if they repeat that performance they will surely be crowned champions. For last year’s winners Toulon, history awaits as they look to join Leinster (2011 and 2012) in successfully defending their crown. Like last year, they have been indebted to their inspirational captain Jonny Wilkinson who has once again led the way with his kicking and general play. Cardiff has not been a happy hunting ground this season however with their only defeat in this year’s competition to date coming at the Arms Park in December when the Blues caused the shock of the tournament by narrowly overcoming the reigning champions. Despite that slip-up Toulon’s maverick bunch of globe-trotters still managed to top their pool and scraped past both Leinster and Munster respectively, with Jonny Wilkinson’s boot once again proving the difference in the semi-final victory in Marseille. Backed by the eccentric businessman Mourad Boudjellal, coach Bernard Laporte has built a team of global superstars with internationals such as Ali Williams, Matt Giteau and Bryan Habana as well as many others flocking to the Stade Mayol, as Boudjellal’s millions continue to attract the top players in world rugby. 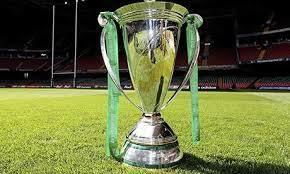 Two successive European finals as well as an upcoming Top 14 final show the plan seems to be working. Despite their riches and recent history however, Toulon will arguably start this match as slight underdogs due to the nature of each finalist’s respective semi-final performances. 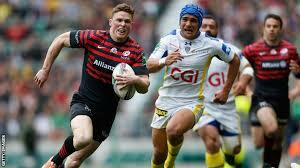 Although, if Toulon’s superstars turn on the style, Saracens could be in big trouble. So who will win? With so many pivotal battles, who will come out on top in their individual battles? Wilkinson or Farrell? Vunipola or Hayman? Ashton or Mitchell? In arguably the tightest final for many years to call, with some of the world’s best players coming head-to-head one thing is for certain; it’s going to be a cracker! Who will be crowned 2014 champions?